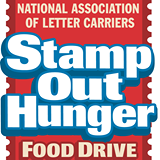 We are looking to put together a team of volunteers to help sort the food donations that get collected by RI letter carriers on Saturday, May 9, as part of the national Stamp Out Hunger food drive. The Food Bank needs several volunteers to work at different post office sites throughout the state for about 3 hours in the late afternoon. Volunteers must 14 years or older. In keeping with our mission of “going where we are needed,” the Wesley team will volunteer at whatever site the Food Bank deems there is greatest need. If you are interested in volunteering, contact Deborah Obalil. This entry was posted in Uncategorized and tagged Food Bank, Stamp Out Hunger food drive. Bookmark the permalink.